Recently the Mauritius Post introduced post codes for my region. The Post service gave us a card with our new code for our address. On the card they requested that we tell our correspondents. So, you think, not a problem, it is just a matter of informing the usual list of people such as the bank and utility services. Think again. There I go, in good faith, thinking I will inform the most important one first, that is, my bank. Simple I thought. Well, it should be, my bank promotes the latest technological facilities like internet banking and mobile banking. The bank prides themselves on using smart tools to allow you to bank the way you wish 24/7. As a client I am a user of internet banking so the logical thing to do is just to use this facility to send a message to the bank and ask that they add the post code on your personal address details. A simple data entry job for any bank employee. No such luck, the reply comes back informing that you must visit a branch with your identity card and a utilities invoice as proof of your address and post code. No kidding, this has to be an administrative protocol installed in the colonial days. To quote H.M. Queen Victoria “we are not amused” ! In short, to add a simple post code to your existing address at the bank, you need to have your electricity, water or telephone companies do the address change first. No doubt they would also send you on a spiralling administrative impasse. Conclusion, what’s the point of having electronic means in this administrative paper orientated mentality? So much for allowing me to bank the way I want 24/7. The customer service want to see me in a branch and queued up along with hundreds of clients just to present a new post code? I think not, sorry Mauritius Post but the post code card will stay in the pending tray. This is one of the parts i hate with the fact that they call this a cyber island, since everything has to go with paper works. There are banks faster than others but in my region , just for a simple transaction such as reloading a prepaid card might cost an hour for waiting and 45 minutes to process your transaction. At the end of the day you are left wondering what’s the ultimate use of introducing such a system when updating it will take so much of your time. A simple task by the bank cannot be done without receiving your id card and address proof? Seriously , We are in the 21st century, i guess Mauritius will continue to remain this way unless the paperwork mentality diminish. Seriously, Internet Banking is a secure method, i would had been glad that they would had allowed citizens to use this as a method to inform about the new post code but anyway in an island where technology is still at its earliest stage, you can’t expect a lot, in the end, you would rather be much happier leaving it to 742CU001 rather than walking towards the counter hearing the words ” Our system does not support the input of post code yet ” ! Given that Mauritius is promoting e-Government. It could have been much easier for the different utilities and banking services to liaise with the Mauritius Post system and have the addresses of their clients updated and have their clients notified for cross verification. Else they could have rather asked for the letter received as proof and a previous bill then have the address updated. I see you feel let down. But the procedures necessarily need to be security proof for all.Keeping this perspective in mind what could you do now? Your are right about security but there is a lack of it in the first place. I need to have a utility bill as proof of address?? Where is the security in that. Why don’t they have ID cards with chips? Why does the bank still use debit cards with only the magnetic strip and no chip? So why is the onus on me? I used a secure method to communicate to the bank and still they want me to come to a branch. I just get fed up with being bogged down in administrative methods from Methuselah’s days. Oh no, I fear a pandora box being opened here. However, if we have a red-tape scenario with the various services then the public will be discouraged and not bother with this. If the “pandora box” has the correct address on it Mike and the postman does the bizz, then please let us know what’s in it – in due course ??? went through – some 40 years ago. 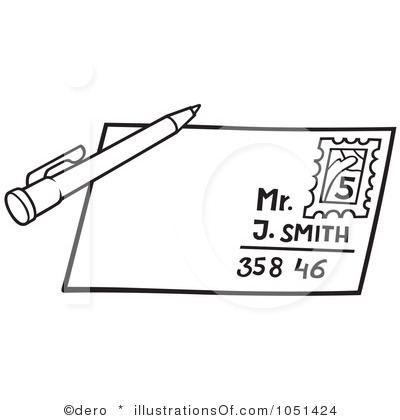 It would be okay if people wrote on the envelopes clearly the full address, but so often that is not the case, which leaves the postal-workers with the difficulty of putting items in the correct holes, (something that even with perfect and clearly written/printed addresses, they still seem to have some difficulty in doing). Wait till you have to order or buy something from a company, where they ask you for your post-code and door-number and suddenly they tell you – your name ! ! ! to the same data-bases too… ??? Interesting read. We didn’t receive a notification on postal codes at all. And as for any kind of online activities that would require this information, I take either the national one: 742CU001 or simply 00000. Indeed that was the system used for online use. I got a blue/yellow card from the postman advising the new post code which it says is in service from 25 April 2013. Maybe they have a new sorting system on trial? Good luck lol. Will your life really change if you add a post code to your address? If no, keep the card somewhere in a drawer. I guess it will not make much difference to me. Maybe in the long-term it will be a problem for Mauritius Post when nobody uses it.